Findjoo is a membership management and CRM software designed for nonprofit organizations. Its features include client management, email tracking and marketing, appointment scheduling, online payments, and more. In this article, we cover Findjoo reviews and pricing. Ready to get started? Get a free trial. Users who gave Findjoo a positive review said that it streamlined their event registration process with its robust calendar, booking forms, online payment processing, and email notifications. Some of them also commended its membership renewal automation. Excellent customer support was also cited. One user who gave Findjoo a positive review on Software Advice shared that it enables him to send membership renewal notices, email newsletters, and sell fundraiser tickets using the same system. He also mentioned that the ticket purchases are handled through its online POS, which seamlessly integrates with QuickBooks. As of the date this article was written (March 20, 2019), there are very few up-to-date Findjoo negative reviews available online. However, one user reported that he encountered a few duplicates in membership records. Findjoo pricing depends on the number of members in an organization. Prices range from $45-$315 per month for 300-15,000 members. For nonprofits with 50,000 members and more, contact the support team to get a customized pricing quotation. There are no setup costs and each client is assigned a dedicated support representative. 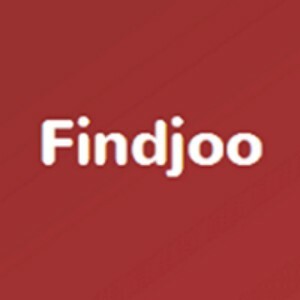 Findjoo also offers an Enterprise version for $40 per month. It enables users to manage client database, take online payments, registrations, bookings, financial data, and send mass emails. It includes the entire solution except for the membership features. Ready to get started with Findjoo? Get a free trial. 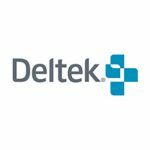 6 Best Nonprofit Accounting Software 2018 — A nonprofit organization needs an affordable small business accounting software to manage donor contributions and expenses as well as generate detailed reports. In this guide, we compared the six best nonprofit accounting software in terms of donor management, budgeting capabilities, reporting features, and more. 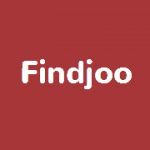 Does Findjoo offer registration management solutions? Yes. Findjoo enables users to either add a booking widget to their website, give clients access to their calendar, or use a request system. These allow members and website visitors to easily request an appointment, make a booking, register for a course, or buy products. How does Findjoo help automate members’ renewal payments? Findjoo offers online payment processing that allows members to pay their membership fees online. It also has reminders and notifications features to politely remind members of their dues, including membership renewal fees. Have you read these Findjoo reviews and are still not sure if it’s the right fit for you? Read our reviews of all top nonprofit software or check out one of these three Findjoo competitors.